(customers, invoices, orders, products, stocks, agenda, e-mailings, shipments...). Our Open Source and free model allows us to provide a competitive solution: Several thousand of developers, testers and translators works on the project. That's why it's possible to be always at the forefront of innovation. The Dolibarr foundation is looking for a company to build a M.O.O.C (Massive Open Online Course) for Dolibarr ERP CRM software. The goal is to provide, in a future, free courses, available to everyone, to learn the basics of Dolibarr ERM CRM software version 9. More information on how to apply and to know to who send your quotation, are available on this dedicated wiki page of the Dolibarr foundation. Dolibarr Spain, one more year, bet on the most important Open Source event in Spain, we talk about Open Expo Europe 2018. Again, Dolibarr collaborates as Bronze Partner of this event. It will be held the 6th and 7th June, in Madrid, so we encourage everyone who wants to participate in interesting conferences about the Open Source world, or want to meet in Spanish developers, to visit this important congress. OpenExpo Europe has become the largest event in the Open Source & Free Software sector and Open World Economy (Open Data and Open Innovation) in Spain, the point of reference for open technologies. The wide range of exhibitions and the extensive and attractive content of the Congress make OpenExpo a unique combination aimed at all types of companies, regardless of size or sector. Companies of Business Intelligence, Cloud Computing, Clustering & Grid, CMS, providers in the open source ecosystem, the latest in Business Security, IOT, Network Management, Web Hosting, Innovation and Technology come together in the same space and in Just one day to showcase its new products, technological solutions and the latest trends. OpenExpo is a vibrant event that shows the strength of the Open Software in Spain and that meets every year in Madrid to personalities of the sector, professionals and companies in search of business generation. The goal of OpenExpo is to disseminate, present, discover and evaluate the solutions and trends of the industry offered by Open Source & Open Software and Open World Economy (Open Data and Open Innovation). A meeting with senior professionals of the sector in just one day: representatives of major companies and institutions, open source developers, hackers, experts, suppliers and users of all levels. The largest return on investment through exhibition, conference and sponsorship opportunities in a day of conferences, success stories, Keynotes, workshops, round tables, demos and other parallel activities around the world of free technologies. 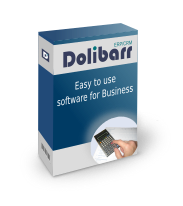 Used by millions of users worldwide, Dolibarr ERP CRM has become a major integrated solution in the Open Source world. Its user and developer community is growing day and day. The Dolibarr foundation was created in 2009 to promote Dolibarr ERP CRM software. This portal is hosted and maintained by the foundation. You can find more information about the Dolibarr association on this page. You may also find local communities for your country/language. See our wiki site to create a community for any other country. 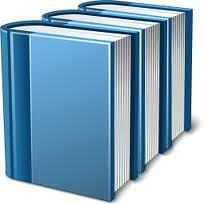 Take a look at this page to find resources about documentation. A public forum is available to exchange about any topics related to installation, upgrade, or use of Dolibarr ERP CRM. Create your account and ask or answers questions here. The Development is managed by the Dolibarr Core team. You can read the wiki site to get more information about who do what.